About the Book: Emily Mitchell, 35, living and working in New York City, has struggled through a string of failed relationships. When her boyfriend of 7 years takes her out for their long-awaited anniversary dinner, Emily is sure that this time will be different, that this time she will finally get the ring. When he gives her a small bottle of perfume instead, Emily knows the time has come to break up with him—and for her entire life to have a fresh start. Reeling from her unsatisfying, high-pressure life, Emily decides she needs a change. She decides on a whim to drive to her father’s abandoned home on the coast of Maine, a sprawling, historic house where she’d spent magical summers as a child. But the house, long-neglected, is in dire need of repair, and the winter is no time to be in Maine. Emily hasn’t been there in 20 years, when a tragic accident changed her sister’s life and shattered her family. Her parents divorced, her father disappeared, and Emily was never able to bring herself to step foot in that house again. Now, for some reason, with her life reeling, Emily feels drawn to the only childhood place she ever knew. She plans on going just for a weekend, to clear her head. But something about the house, its numerous secrets, its memories of her father, its oceanfront allure, its small-town setting—and most of all, its gorgeous, mysterious caretaker—doesn’t want to let her leave. Can she find the answers she’s been looking for here, in the most unexpected place of all? Can a weekend become a lifetime? 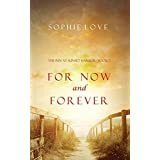 FOR NOW AND FOREVER is book #1 in the debut of a dazzling new romance series that will make you laugh, make you cry, will keep you turning pages late into the night—and will make you fall in love with romance all over again. My Review: This is a very well written book describing the struggle of a woman (Emily) to find her true identity. After finishing a long term relationship that was leading to nowhere, Emily quits her oppressive job in New York and goes to Maine, to an old family house where she used to spend her vacation when she was a child. The initial idea was to spend the weekend over there. What she found there is an abandoned house, a community that is not so receptive and a mysterious caretaker. Her father had vanished on thin air twenty years ago, after divorcing her mother. Both did not know how to handle the death of her sister. The caretaker has more in common with her than she initially thought. And a relationship starts to grow. The author did an amazing job with the creation of the characters and her description of the environment. The characters that compose the small Maine community are also fully developed. The romance is there, but not overdosed. Kudos to the author for this amazing start of a series that promises to be very entertaining. I recommend this book to the permanent library of all readers that enjoy a very well written book that will keep them entertained for some hours. I received an electronic copy of this book from the author for reviewing, and I was not requested to provide a positive review. Opinion expressed here is my own. 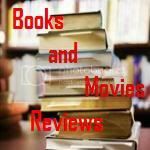 If you read my review, feel free to leave a comment.